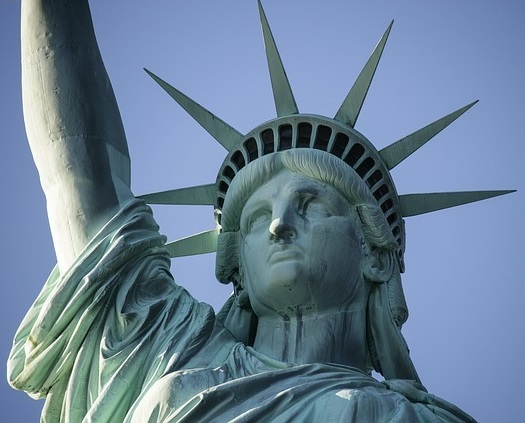 Canadians Immigrating to the U.S.
What to Expect When Immigrating to the U.S.
Because the American economy offers a steady yet diverse market, many Canadians move to the United States for career opportunities. Whether your relocation plan involves family or just the desire to live in a warmer climate, the similarity of the two cultures will ease your transition. International resettlement, however, requires due diligence. Due to recent efforts to battle terrorism, the United States ranks among the top five hardest countries for foreigners to establish citizenship. Research the future destination heavily before deciding to move abroad. America provides two different ways to achieve permanent American residence. Other alternatives exist, but Canadians are ineligible for the diversity lottery or refugee/asylee humanitarian option. Via job offer: Your employer applies for labor certification and files forms for you to enter the country along with your job offer. Entrepreneurs: A business venture that creates at least ten American jobs entitles you to an entrepreneur visa, but you must invest at least $1,000,000 (or $500,000 in an area of high unemployment). You can also request passage for your spouse and any children under the age of 21. Special qualifications: A distinct skill set learned in a previous profession may give you the quickest access (Afghan/Iraqi translators, broadcasters, international organization employees, NATO-6 nonimmigrants, Panama Canal employees, and religious workers). National recognition: The U.S. reserves this category for the top of the top, and you must prove international acclaim in a specified field. For example, winners of a Pulitzer, the Nobel Peace Prize, or an Olympic medal demonstrate extraordinary abilities and therefore qualify for special alien status. 2. Familial sponsorship works better if your parent or spouse is currently a citizen. Once they legally establish your relationship and prove the ability to financially support you, the United States will endorse your petition. The typical order of immigration is visa, green card, and naturalization. Through a procedure called consular processing, you complete an application and meet with consular personnel. After subsequent approval, Citizenship and Immigration Services works with the Department of State to issue a visa; they authorize your green card upon arrival to the U.S.
What’s the difference between a visa and a green card? Contrary to popular belief, a visa serves as preliminary permission to enter the county. Green cards, on the other hand, grant permanent residence with freedom to work in any industry or occupation. They expire after ten years. To complete naturalization, you must pass English and civics tests after living in the U.S. for five or more years. Sometimes, Citizenship and Immigration Services also require a biometrics appointment, but you are not legally considered a citizen until you take the Oath of Allegiance. Both the United States and Canada allow dual citizenship, so you can stay Canadian while becoming American!